Regardless of the topic of a given demonstration, the behavior of the presenter is critical to promoting audience attention and comprehension. I’m sure you’ve heard some of these tactics before, but warrants restating that eye contact, posture, and gesticulation are all great tools to maintain viewers’ engagement. Try segmenting the crowd into 3 groups (or more, depending on the size of the venue) and make eye contact with individuals in each of those sections successively. Focusing too long on those closest to you could alienate other parts of your viewership. Likewise, good posture goes a long way in portraying an aura of confidence, indicating to your audience that you are competent in whatever is being discussed. Hand gestures are also useful in exhibiting your passion for the subject matter, increasing your credibility. Your skills as a presenter won’t mean much unless you have intriguing, comprehensible graphics for your audience to look at. In a PowerPoint presentation, slides are complimentary to your own speech. That means they should be brief, simple, and visually appealing. A good rule of thumb is to keep the text under 25 words, as this prevents the audience from becoming overwhelmed or tuning out to your verbal presentation. I have personally had the most success with animated bullet points, as these allow you to decide when your viewers see a piece of information, and in what order. Of course, you can always rely on a picture or graphic to liven up a slide, but be careful that it isn’t offering new information, and is cropped appropriately. In those courses when droves of students are giving presentations, it is especially necessary to use unique slideshow templates. The default templates available on Google Slides and Microsoft PowerPoint are likely to be used by other students, so I recommend using a website like SlidesCarnival to download a free and visually pleasing template that will stand out from those of your peers. The strategies I have outlined in this blog post are by no means intended to be exhaustive, nor could they be. The circumstances surrounding a demonstration, like the locale, audience, and topic will influence the creative decisions that go into crafting a presentation. For instance, slideshows are best suited for small, indoor environments; while charts and graphs are practically essential when presenting the results of an experiment or study. 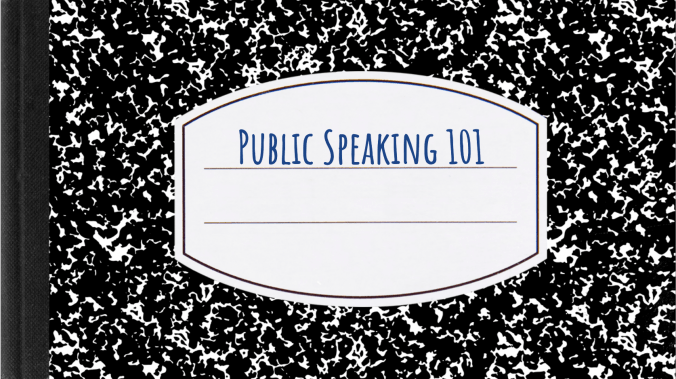 However, the techniques stated above will be a boon to any presentation, since audience engagement and comprehension are at the center of public speaking.